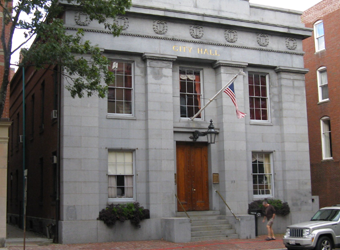 NETCO was the OPM for the Salem City Hall Repair Project. The historic building is the second oldest City Hall in the Commonwealth. It was originally constructed in 1838 with additions in 1876, the early 1900’s, and 1979. The City Hall has Mass Historical Commission restrictions on the interior and exterior of the building. The repairs included; addressing envelope leaks and code Issues of all types, updating M.E.P. systems, installation of a new HVAC system, fire alarm, windows, and roof. NETCO assisted the City of Salem in meeting their goal of updating the building in a way that provided a modern useful structure that preserved the historic character and defining features of the existing building.